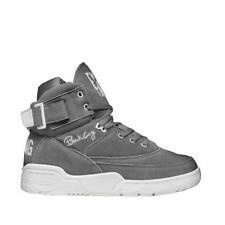 PATRICK EWING ATHLETICS ROGUE Black/Castlerock 1BM00141-006. PATRICK EWING ATHLETICS ROGUE Atomic Blue/Navy/White 1BM00142-421. PATRICK EWING ATHLETICS HI 33 Multicolor/Clear REMIX. O ri gi na l bo x not included. Pr eo wn ed/like new - w or n on t wo d if fe re nt o cc as io ns. VERY VERY GOOD CONDITION AND VERY COMFORTABLE. Ewing 33 hi sz 13. Condition is Pre-owned. Shipped with USPS Priority Mail. Got shoes brand new 5 years ago. Still in good condition 8/10. Box doesnt have top so may ship without it. Patrick ewing 33 hi Par Purple Black with original box. Condition is Pre-owned with original box. Shipped with USPS Priority Mail. Patrick Ewing Focus Men Sneakers NBA Basketball Knicks Size 9.5 Og Vintage Retro. Condition is Pre-owned. Shipped with USPS Priority Mail. 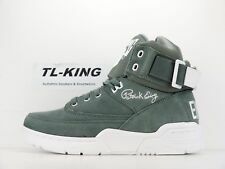 ewing 33 hi. Condition is New with box. Shipped with USPS Priority Mail. patrick ewing shoes size 13. Condition is New with box. Shipped with USPS Priority Mail. PATRICK EWING ATHLETICS HI 33 Multicolor/Clear REMIX men’s size 10. Shipped with USPS Priority Mail. 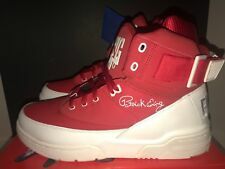 Ewing Athletics "Ewing 33 Hi" US Men: 13 Color: Red/Black/White Condition: Pre-owned without Box Shipped with USPS Priority Mail. Men’s Patrick Ewing Athletics 33 Basketball Shoes New York Knick’s Color Size 9. Condition is Pre-owned. Shipped with USPS Priority Mail. Patrick Ewing 33. Basketball Shoes. Green High Top. 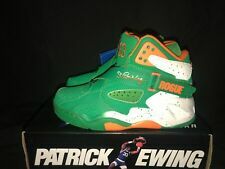 PATRICK EWING ATHLETICS 33 HI ALL-STAR BALTIC Size 8 1EW90110-332 Condition is New with box. Patrick Ewing Athletics 33 Blue Orange White Like New, Lightly Use Only 1 Time. All my merchandise are 100% authentic and original Quality Great Condition. In clean,excellent new condition up for sale is this Ewing 33 hi Rose Gold DTLR collaboration sneaker. In 10/10 condition. 33 Hi Concepts. Manufacturer Sku 1EW90106003. Materials Suede, Synthetics.